We are a well-established private podiatry and chiropody practice in Bishop’s Stortford. Richard Handford is the Director of the practice and principal podiatrist. At some time in our lives all of us can suffer from discomfort and pain in our feet. Many conditions which cause this pain can be alleviated by a visit to a podiatrist. Many people don’t know when to visit a podiatrist. We find a lot of our patients have waited longer than they needed to before they came in to see us. Our feet should not hurt and putting up with painful feet is unnecessary. Our team of experts are best placed to diagnose and treat every type of foot problem. 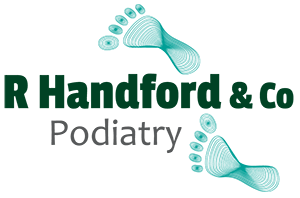 At R. Handford & Co. Podiatry Limited, all aspects of your foot problems will be addressed sympathetically and appropriately. All our podiatrists are regulated by the Health and Care Professions Council, and members of The Society of Chiropodists and Podiatrists, therefore your feet are in safe hands. You can find out about their high standards by clicking here. We take great pride in the service we offer to all of our patients. 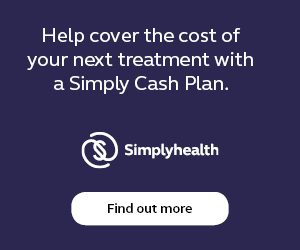 Contact us today to book an appointment or to discuss how we can help you. “I have known Richard Handford for over 7 years during which time he has professionally carried out treatment on an ingrowing toenail. After several years Richard’s advice was that the time had come to consider having the nail removed. This would have solved the problem and negate the need for further treatment. Despite my reluctance to have this procedure carried out, Richard has continued to deal with the offending toenail and the discomfort during treatment is minimal. I am grateful to him for his ongoing support. Both he and his staff are always pleasant and appointments are on time. Well done.